Fare: Turkish Airlines (TK) JV3BX YTO to VCE. 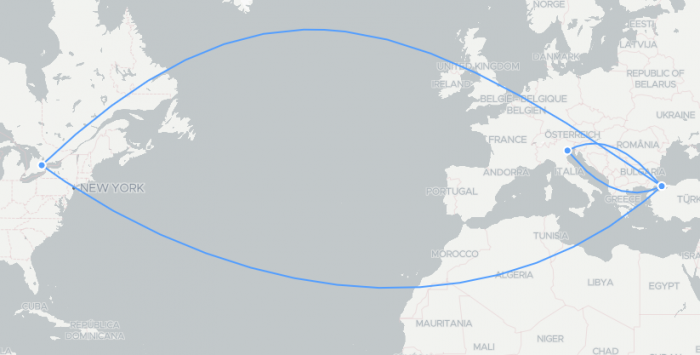 Seasonal restrictions: permitted 28JAN 19 through 08APR 19 on the outbound transatlantic sector. Flight restrictions: the fare component must be on any TK flight operated by TK. Transfers: 4 transfers permitted – 2 in each direction. Sales restrictions: tickets must be issued on/after 28JAN 19 and on/before 10FEB 19. 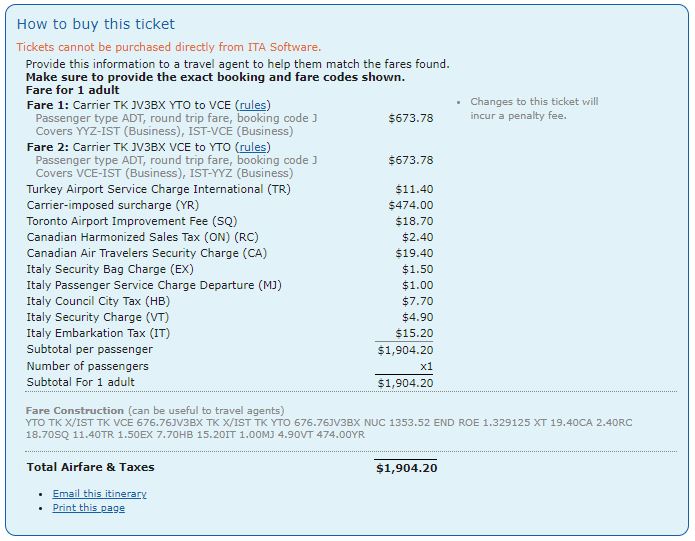 Cancellations: charge $400.00 for cancel/refund. 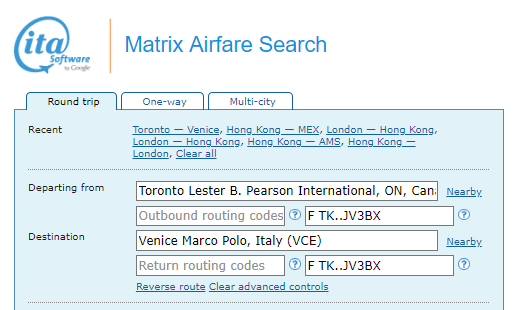 The following accruals were estimated using wheretocredit calculator for YYZ-IST-VCE round trip travel on TK marketed flights without considering any elite status bonuses or ongoing promotions.